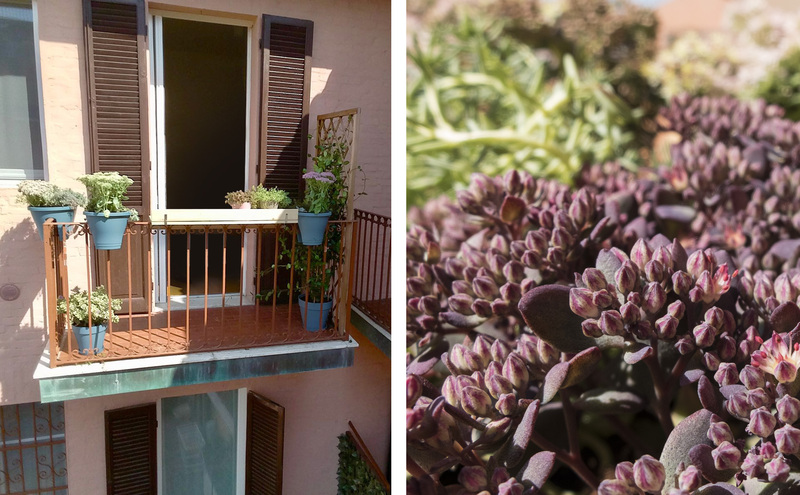 Categories balcony decor, plant styling, green design, graphic design. 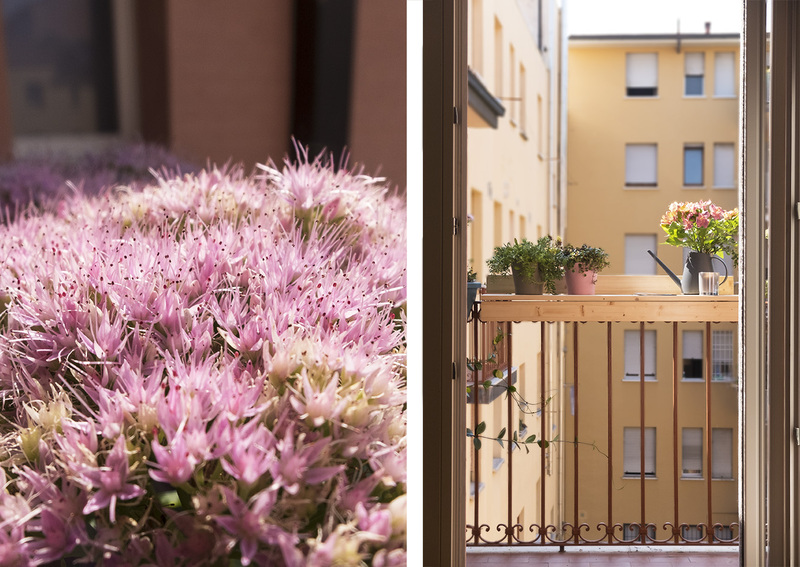 Silvia and Marco just got married, and they have a tastefully renovated apartment in Bologna city center, just five minutes away from the famous two towers: bright, minimal and welcoming, soft colours and light wood characterise the decor. 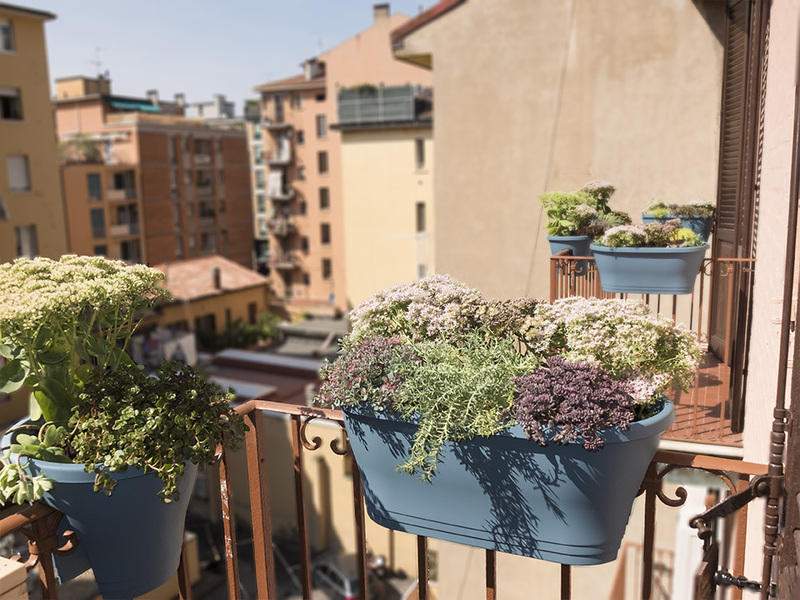 The two small balconies remained the last spaces to be renovated, due to a lack of confidence with plants and a strong exposure to the sun. 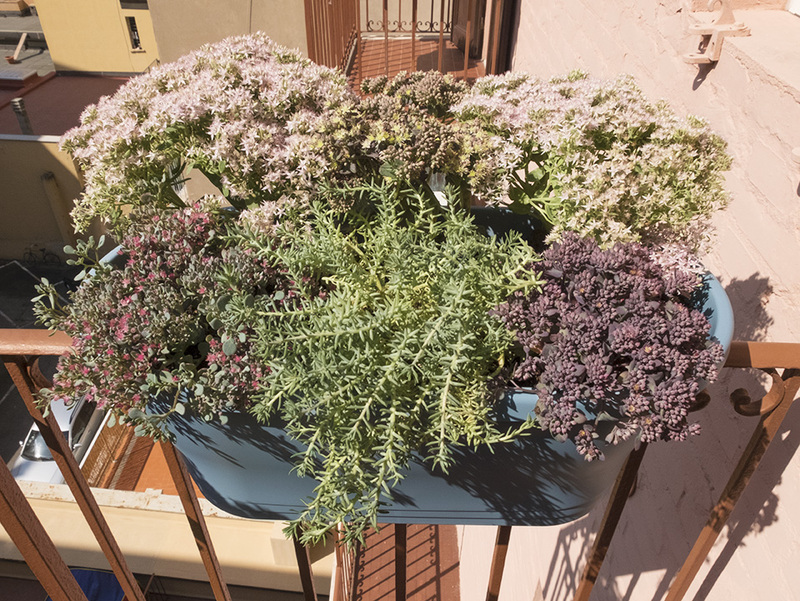 Anna, Marco’s sister, decided that their complete styling would be the perfect wedding present. 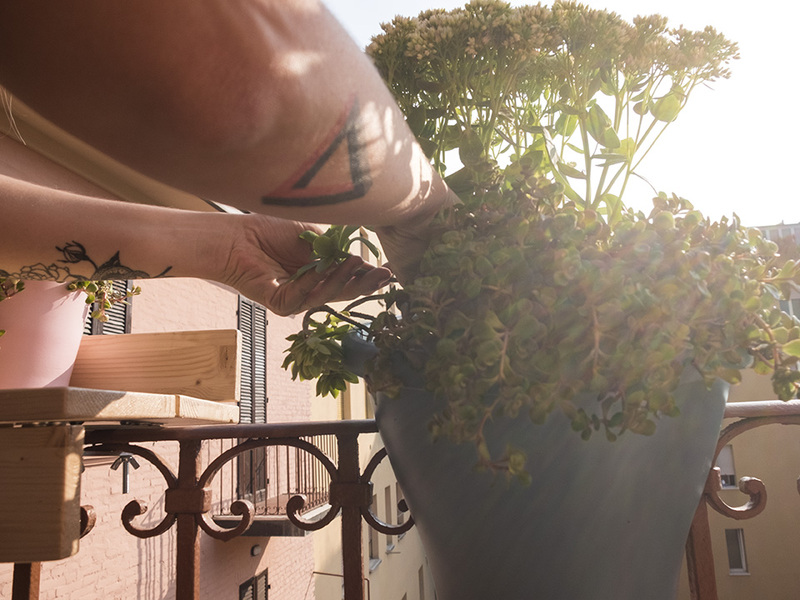 Our project for a new green space has finally made the two balconies usable and welcoming: a climbing Rhyncospermum Jasminoides get them a bit of privacy form the adjacent BnB, and will spread a delicious scent every spring; a mix of different Sedum varieties – beautiful and extremely resistant plants – characterises the balcony planters, that recalls the soft blue of the living room, as well as being made of 100% recyclable plastic. 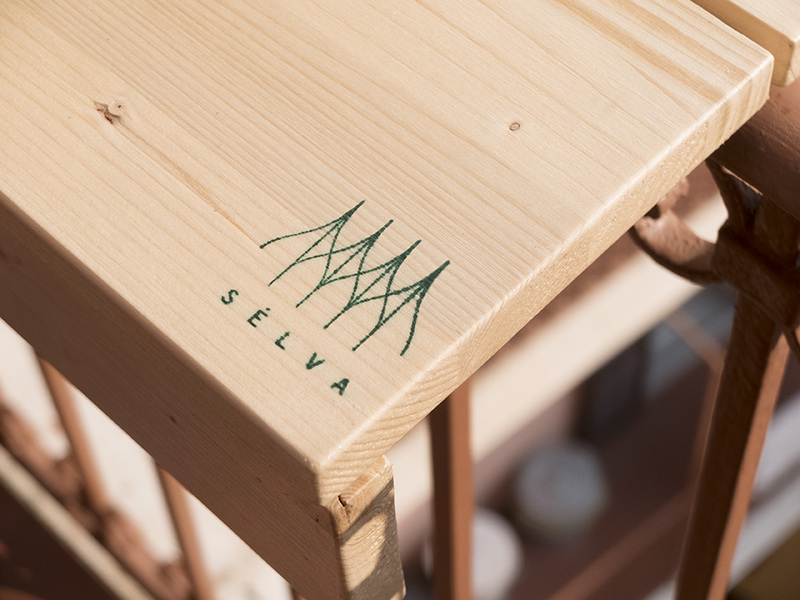 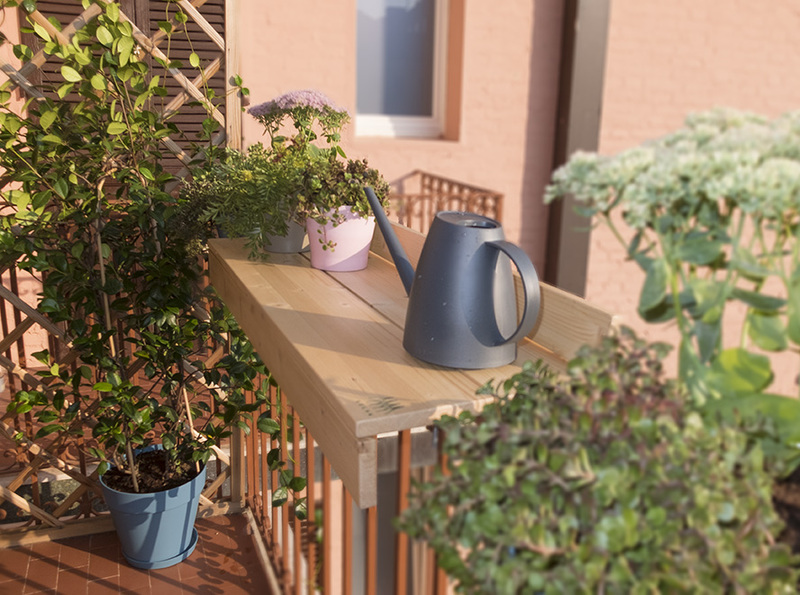 Finally, a table for the rail designed and built in fir, is the perfect support for a home-made aperitif or an open-air coffee. 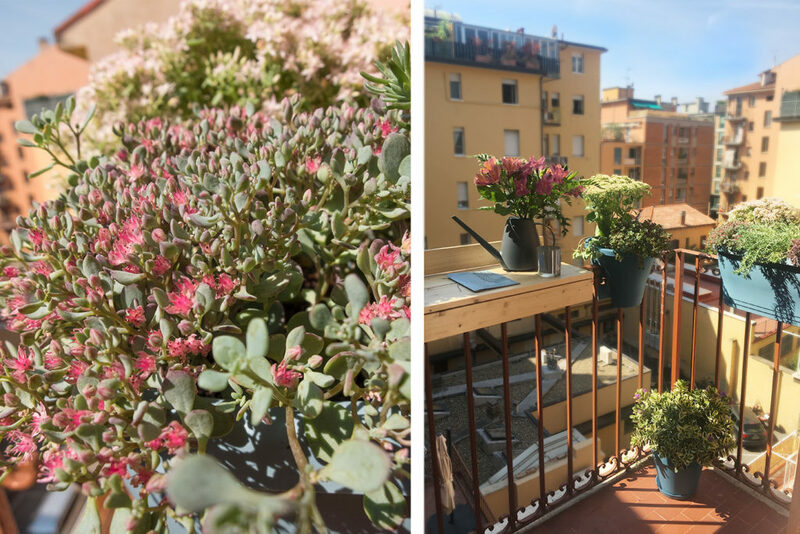 To conclude the project, an Astromelias bouquet and a hand-bound booklet with tips and directions welcomed Silvia and Marco in their new green spaces.